Leadership, Project Management, and Business Analysis Training | Data Analysis & Results, Inc.
DA&R’s senior instructors and consultants all have decades of expertise consulting, facilitating, leading, and teaching a wide variety of Leadership, Technical, Business, and Soft Skills courses face-to-face and through the latest remote Virtual technology. We deliver our own portfolio of leading edge courses, or create and deliver custom courses (single module to entire tracks) to your organization’s cohorts needs in Austin and San Antonio at our facilities, and around the world at our partner sites, and in-house at your sites. Courses - Open Enrollment & Custom Delivery - We extend a 15% discount to current government employees and 10% discount to veterans. see our updated blog Management & Technical Resources to Learn - Actually Useful! 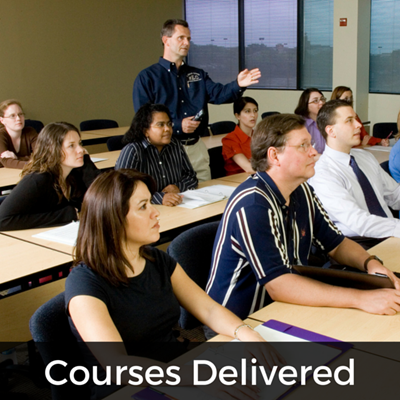 CONTACT US To discuss tailoring any course or creating a course or series that exactly meets your needs. Seeking organization change rather than a beauty contest from your Speaker or Trainer evaluations? Course evaluated and delivered by DA&R Senior Consultants and Instructors so you can be assured of highest quality. Why Data Analysis & Results (DA&R)? We share in your success! Your Challenges Are Our Passion! Our consulting and courses are consistently rated excellent, as are our very experienced Consultant Instructors, who average 20+ years in project management, operations, and other key leadership roles. For organizations, we can support your projects and change efforts via Consulting, Speaking, Training, and Staffing. For individuals, we provide advice and limited job placement help if you are seeking employment. Here are our Testimonials, Clients, and Course Calendar professional development education training courses.